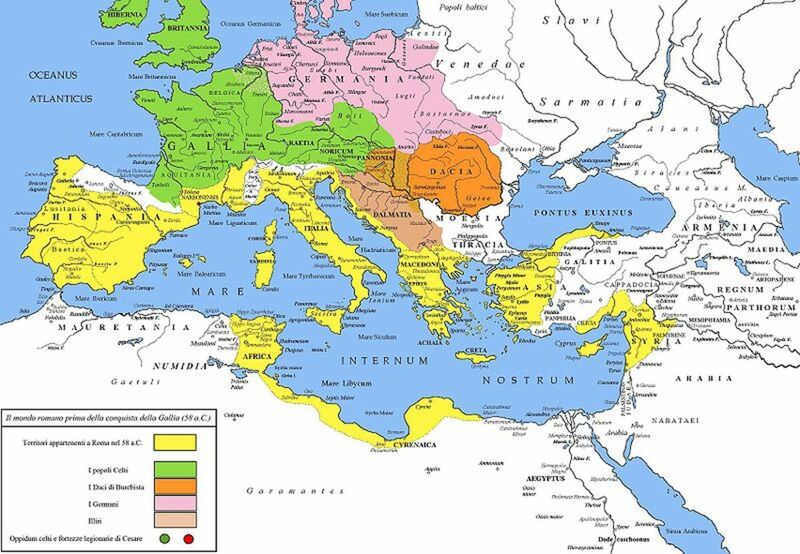 In the late 2nd century B.C., Rome had secured the Mediterranean coast between the Pyrenees and the Alps, establishing the province of Transalpine Gaul there in 121 B.C. 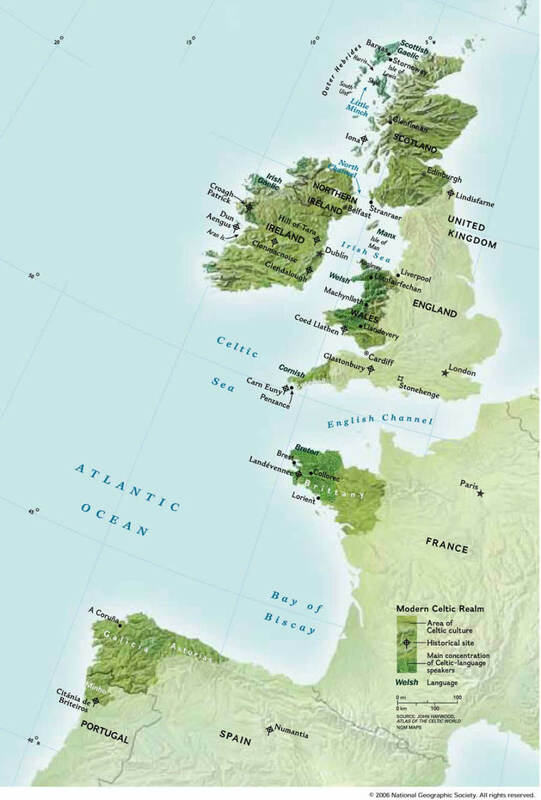 The rest of Gaul was inhabited by semi-civilized Celtic peoples, divided into independent, warring tribes. Until 58 B.C., Rome avoided any intervention in Gaul outside the borders of the province. But this policy changed sharply when Julius Caesar became governor of the province. The Helvetii, who occupied what is now Switzerland, were being driven west by the Germans. As they tried to migrate across Transalpine Gaul, Caesar defeated them near Bibracte (close to Autun) in April 58. That campaign could be justified as protecting the Roman province. But Caesar was interested in greater conquests. Citing Rome's friendly relations with the Gallic tribe of the Aedui as a pretext, he drove Germanic invaders under Ariovistus back across the Rhine in the summer of 58. 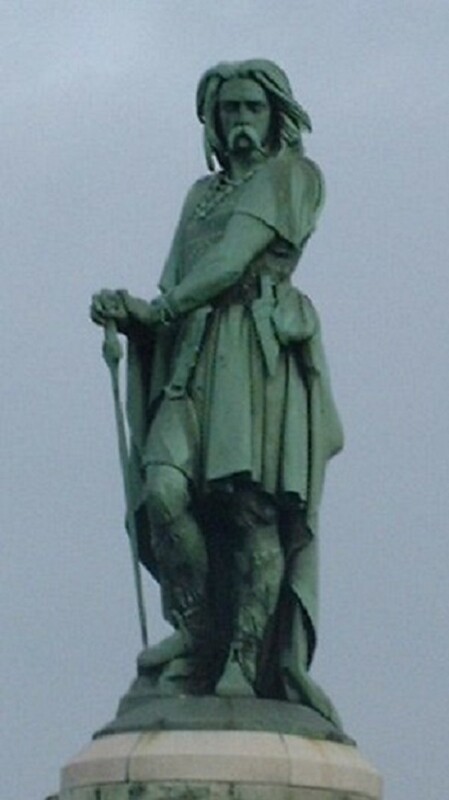 He then quartered his troops at Vesontio (Besancon) in Gallic territory. Rome had now-embarked on a new expansionist policy. In 57, Caesar made spectacular advances into northern and northeastern Gaul, the area occupied by peoples known collectively as the Belgae. One of these tribes, the Remi, joined Caesar, while the fierce Nervii resisted. Bitter battles reduced the Belgic area to submission in 57. 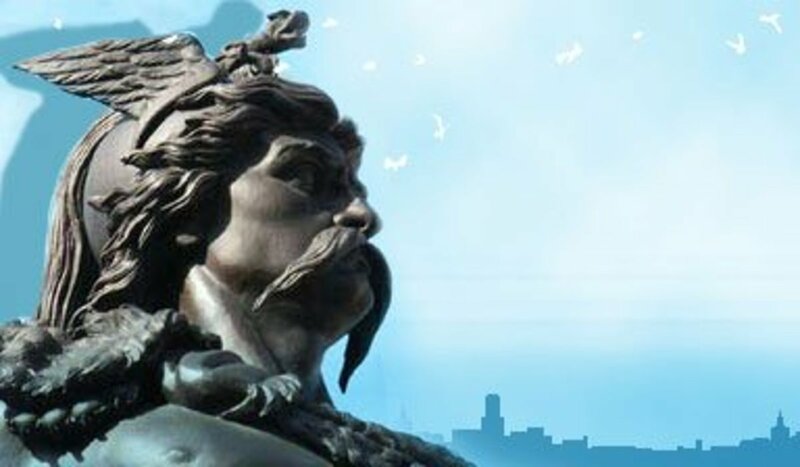 The Veneti, a maritime people controlling the Breton coast, were subjugated the following summer. 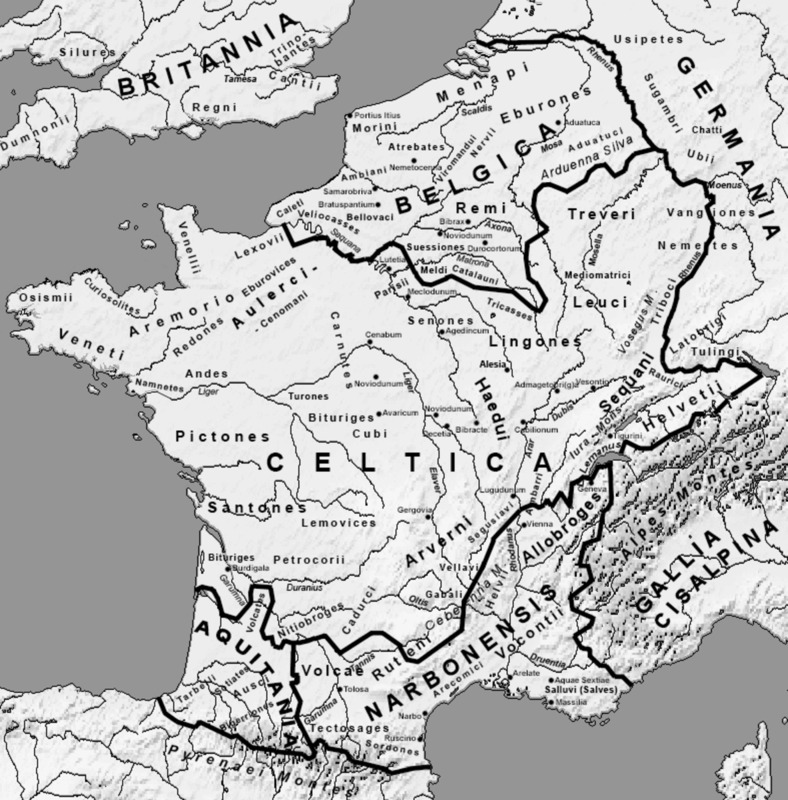 By 55 almost all of central and northern Gaul was in Roman hands. No previous Roman general had won such complete loyalty from his soldiers. Courage, remarkable self-control, and brilliant innovative tactics gave Caesar a position without peer among military men of his time. 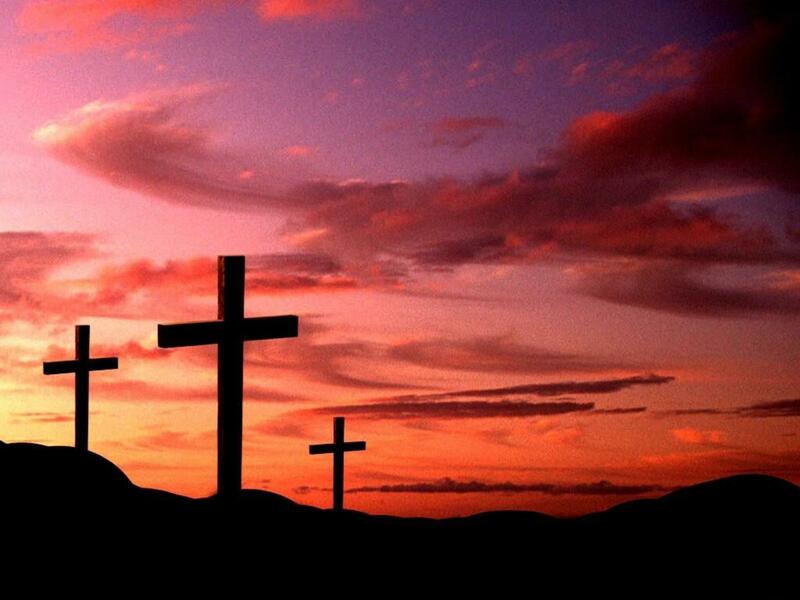 Periodic cruelty and terrorism marred his achievement, but usually Caesar employed clemency. 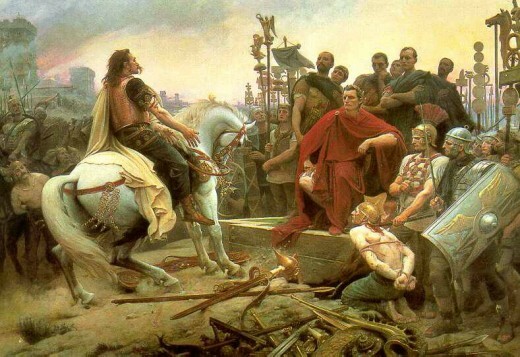 Although the immediate consequences were grievous for many Gauls, Caesar's victory forestalled an otherwise inevitable conquest by the Germans and eventually secured for Gaul the advantages of Roman civilization. Evidence concerning the Gallic Wars comes primarily from Caesar's Commentaries, published in seven books, probably in 51 or 50. An eighth book, on the campaign of 51, was added by one of his officers, Aulus Hirtius. The purpose was largely to keep Caesar's achievements before the Roman public. 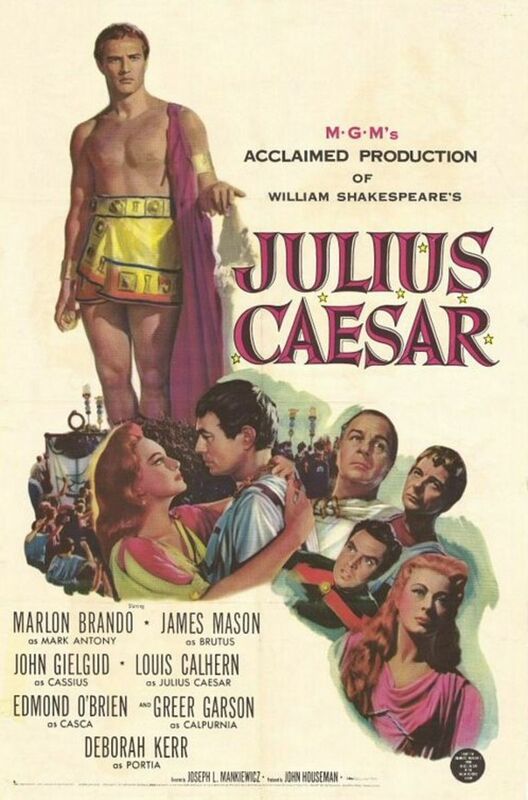 The work exhibits Caesar's literary mastery. Written in the third person in a bald, terse, swift style, it combines objective reporting (or the illusion of it) with forceful, engrossing narrative. The reader is left with the compelling impression of a general thoroughly in control, dictating events to an inevitable and successful conclusion.